SPUD (male) and SADIE (female) are recently paired up as they came from different locations. It’s early days but they seem to be ok together. 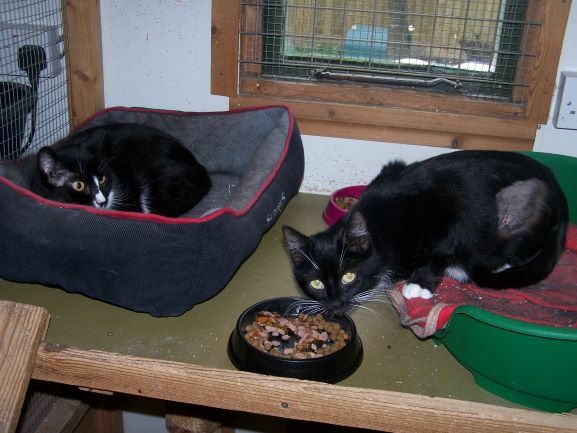 Both are neutered and chipped and because they are feral they are looking for a 5* outdoor home where they will be safe and have warm shelter and daily feeding. They need to be confined for 4 to 6 weeks to ensure they settle in to their new home. They need to go as a pair and if anyone is looking for more than two they could be rehomed with PIP and SQUEAK (see separate entry).